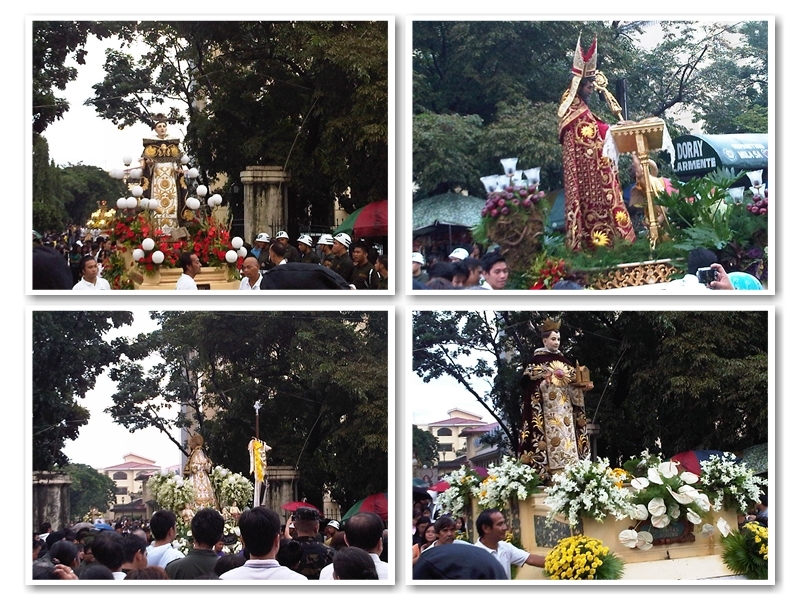 Went on the La Naval procession for the fourth straight year (I think) with our Varsi friends yesterday. But first, let me tell you: a miracle happened yesterday. 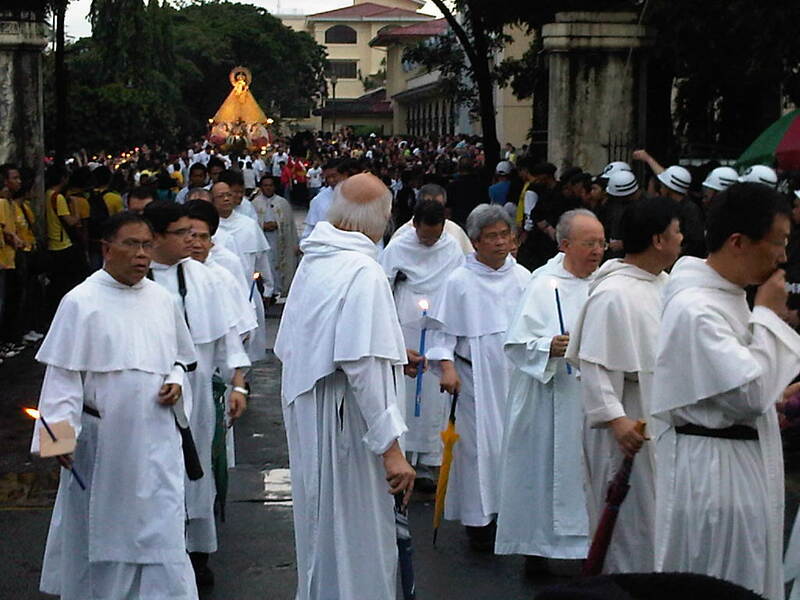 It was raining cats and dogs a couple of hours before the procession and didn’t let up. The skies were so dark and we were worried the procession will not push through (honestly, I was worried I wouldn’t be able to join – you know me, I ALWAYS end up with a fever when I get soaked in the rain and I couldn’t afford to be sick this week). 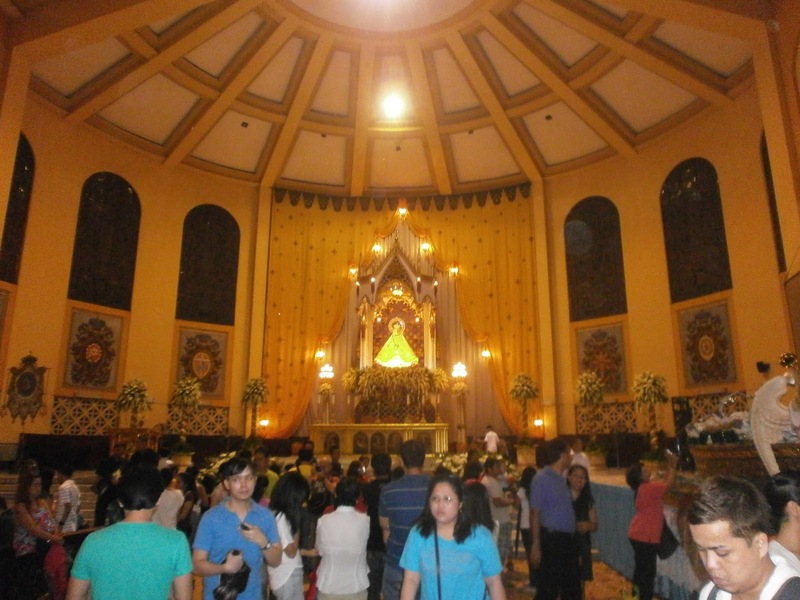 Thing is, the rain stopped a bit to let San Lorenzo Ruiz out and then it poured again – until the carosa carrying Mama Mary went out of the Church gates. It literally parted the clouds. The rains stopped and the sun shone so brightly, at past 5 in the afternoon and it didn’t rain until the mass finished at around 8PM. 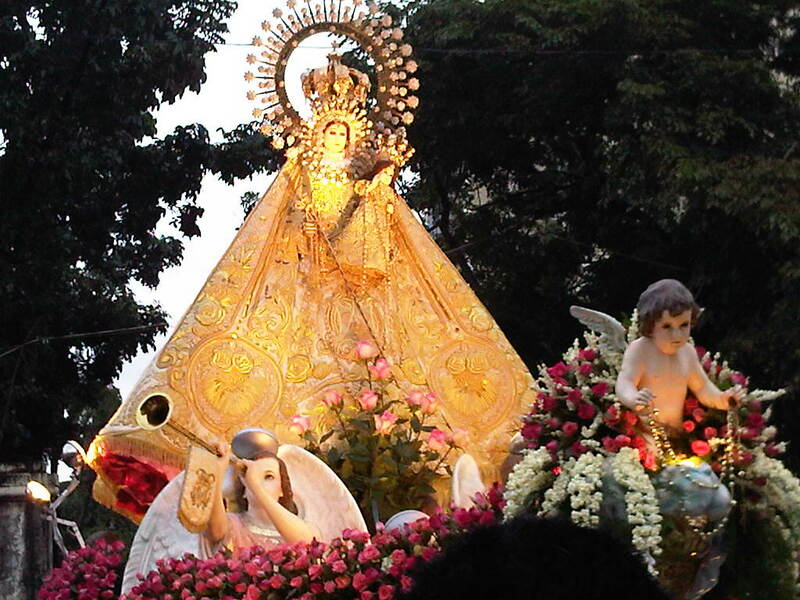 Miracles have always been attributed to The Virgin of La Naval and I have personally experienced this last year. I asked for Mary to guide me on my next career move and what do you know? My current employer called up the very next day. I had to heed it as I had made the mistake of ignoring the signs before (I remember I had one wish when I went to Vigan early last year – God granted an answer immediately but I chose to turn the other way; lesson learned the hard way). The crowd was a lot bigger this year compared with last, considering the rains that immediately preceded it. And I think the celebrant was also better at engaging the churchgoers as I didn’t feel sleepy at all. 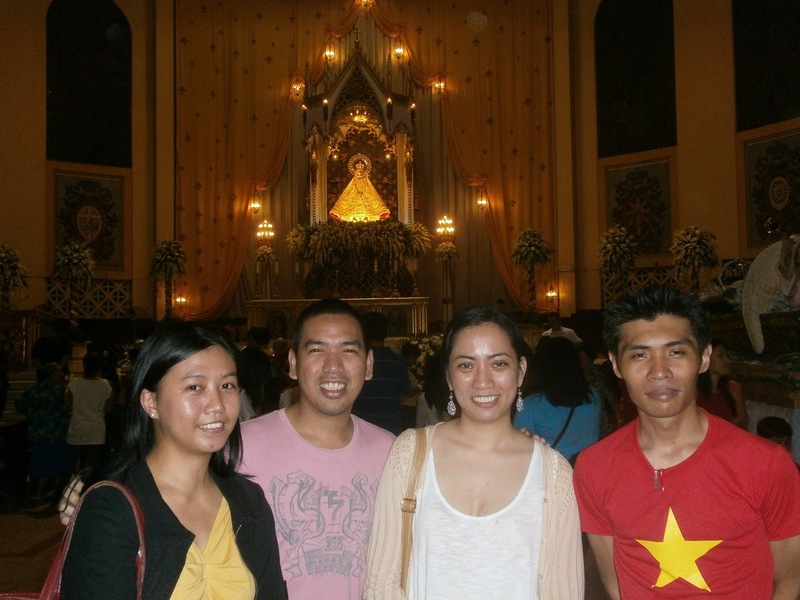 We did break a few of our traditions though – specifically, the hubby led us astray. But I can’t divulge the details here or he will not talk to me (right Feli, Carli and Lynda?). By the way, the Sto. 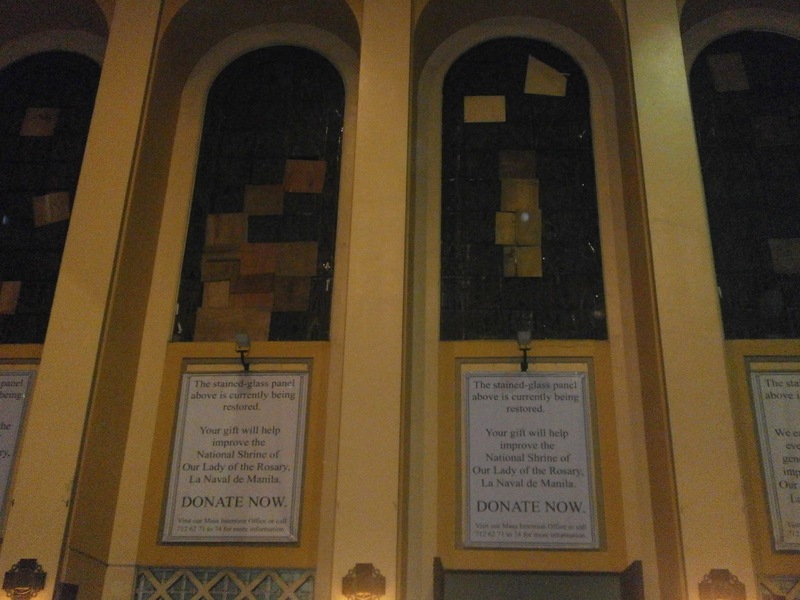 Domingo church needs your help to fix the broken stained glass windows due to the recent typhoon. 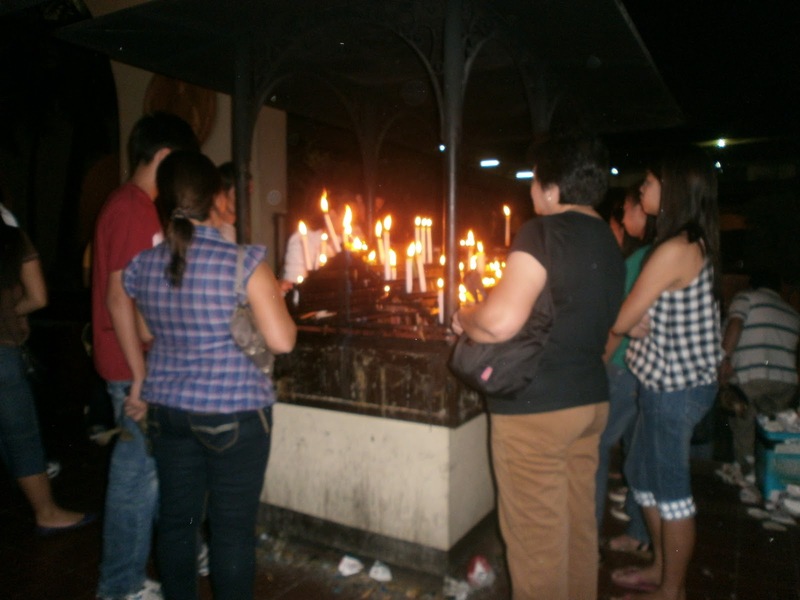 *pardon the crappy shots – I couldn’t quite figure out how to use my Olympus point and shoot. Too many settings for a simpleton like me. Haha.